Cop on to Crowdfunding for Fish! Funds for Fish is an exciting new crowdfunding campaign that is seeking funding to restore fish habitat. Fish need habitat for breeding and feeding, without this habitat they simply won’t exist in our rivers. 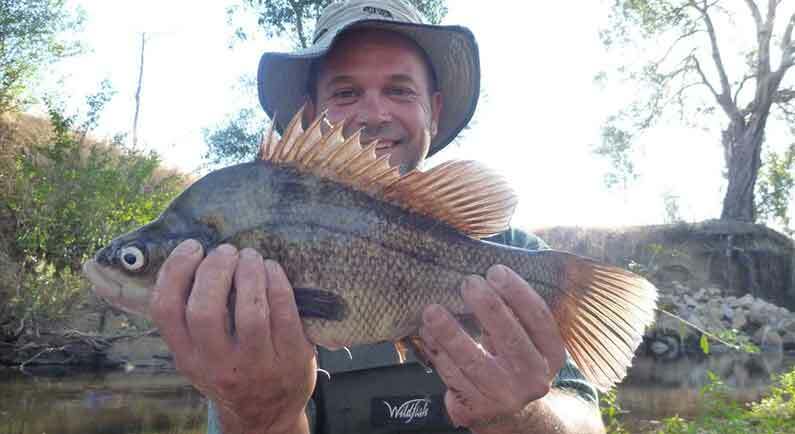 The Australian River Restoration Centre, Glenelg Hopkins CMA, Goulburn Broken CMA and Corangamite CMA have banded together to raise money through Crowdfunding to restore fish habitat. We will share the outcomes of this approach with others organisations keen to give crowdfunding a go, but in order to do this, we need your help in making the campaign a success! We have thought carefully about the projects we will support through Funds for Fish, and three projects have been chosen to start us off, the Merri River (Glenelg Hopkins), Spring Creek (Corangamite) and the Goulburn-Broken, that are focusing on habitat for the endangered Macquarie Perch and the highly prized angling species, the Estuary Perch. ‘Reel Estate’ is a big focus, and includes plants, logs and fish hotels, an approach that captures the imagination of those wanting to know more about these underwater ‘homes’. The campaign also seeks to increase industry, angler and community interest and involvement in bringing habitat back for our fish. Projects removing weeds along river banks to increase angler and community access to the waterway, as well as planting native species along river banks to help provide shade and shelter for fish and animals such as platypus and birds, will be included in the range of activities supported through Funds for Fish. Other organisations have come on board to help raise funding and to promote the program. These include the Department of Environment, Land, Water and Planning, Victorian Recreational Fishing Peak Body (VRFish), Victorian Fisheries, Merv Hughes Fishing, You Fish TV, OzFish. Each project that reaches or exceeds their target, will get matched funding from the Victorian Government through the Regional Riparian Action Plan and other government initiatives to improve the health of regional waterways. Donors will have the option of receiving a gift in exchange for donations, or alternatively receive a tax receipt, as donations are fully tax deductible through the Australian River Restoration Centre. We all know how hard it is to get funds on-ground, so give us a hand and help us to share this ‘Funds for Fish’ crowdfunding campaign far and wide. We will be sharing regular posts on our ARRC Facebook page to let you know how we get on. Over the next few weeks we will be updating you as this project progresses, here is the website www.fundsforfish.com.au. The project is being run through the crowdfunding platform – Pozible and can be located at fundsforfish.pozible.com. Siwan manages the Finterest website and enjoys sharing stories about the latest research and on-ground projects to bring back native fish. She also manages the Rivers of Carbon (www.riversofcarbon.org.au) program that restores riparian zones in the Southern Tablelands of NSW to create habitat for native fish. She is editor of the popular RipRap Magazine that also shares fishy stories.